If you want to save the world, say the magic word. 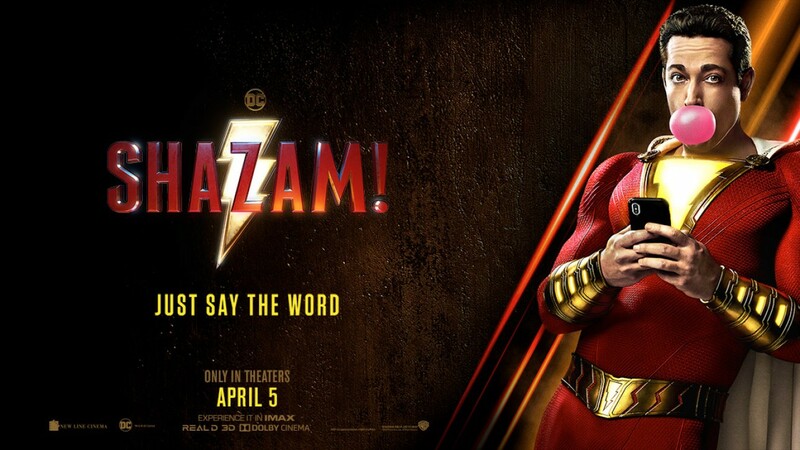 ⚡️#SHAZAMMovie David F. Sandberg (“Annabelle: Creation”) directs New Line Cinema’s “Shazam!,” the origin story that stars Zachary Levi (TV’s “Chuck”) as the titular DC Super Hero, along with Asher Angel (TV’s “Andi Mack”) as Billy Batson, and Mark Strong (the “Kingsman” movies) in the role of Super-Villain Dr. Thaddeus Sivana. Peter Safran (upcoming “Aquaman,” “The Conjuring” and “Annabelle” films) serves as the film’s producer. We all have a superhero inside us, it just takes a bit of magic to bring it out. In Billy Batson’s (Angel) case, by shouting out one word—SHAZAM!—this streetwise 14-year-old foster kid can turn into the adult Super Hero Shazam (Levi), courtesy of an ancient wizard. Still a kid at heart—inside a ripped, godlike body—Shazam revels in this adult version of himself by doing what any teen would do with superpowers: have fun with them! Can he fly? Does he have X-ray vision? Can he shoot lightning out of his hands? Can he skip his social studies test? Shazam sets out to test the limits of his abilities with the joyful recklessness of a child. But he’ll need to master these powers quickly in order to fight the deadly forces of evil controlled by Dr. Thaddeus Sivana (Strong). “Shazam!” also stars Jack Dylan Grazer (“IT”) as Billy’s best friend and ultimate superhero enthusiast, Freddy, part of the foster family that includes Mary, played by Grace Fulton (“Annabelle: Creation”); Darla, played by Faithe Herman (TV’s “This is Us”); Eugene, played by Ian Chen (TV’s “Fresh Off the Boat”); and Pedro, played by Jovan Armand (TV’s “Hawaii Five-O”). Cooper Andrews (TV’s “The Walking Dead”) and Marta Milans (TV’s “Killer Women”) play foster parents Victor and Rosa Vasquez, with Oscar nominee Djimon Hounsou (“Blood Diamond”) as the Wizard. Firmly set in the DC universe but with his own distinctly fun, family-centric tone, the screenplay is by Henry Gayden, story by Gayden and Darren Lemke. Shazam was created by Bill Parker and C.C. Beck. Christopher Godsick, Jeffrey Chernov, Dwayne Johnson, Dany Garcia and Hiram Garcia serve as executive producers. Sandberg’s creative team includes his “Annabelle: Creation” director of photography Maxime Alexandre, production designer Jennifer Spence, editor Michel Aller and costume designer Leah Butler.